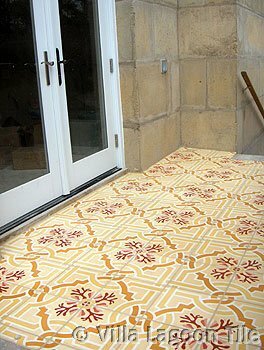 "Italian Trellis A Sunset" Cement Tile Sale! 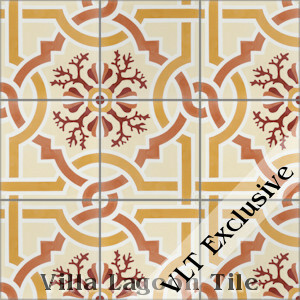 This is a 5-color 8" cement tile, using colors from the South Beach Palette. 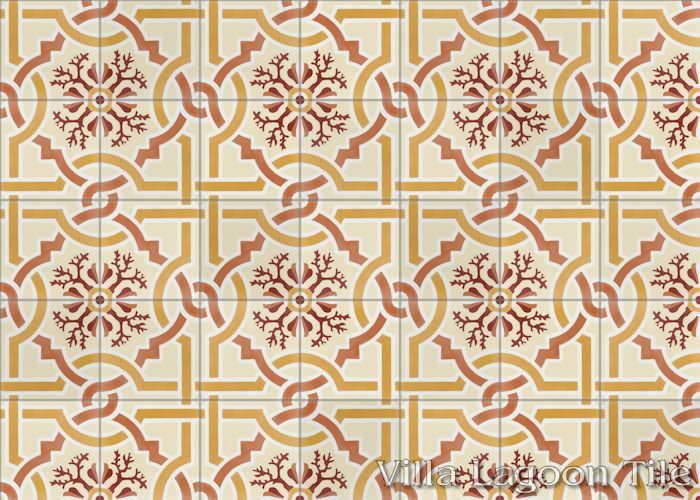 Villa Lagoon Tile's "Italian Trellis A Sunset" is a Lundy P. Wilder original cement tile pattern, from our Coastal Collection, now in stock! This pattern features a traditionally-inspired weaving trellis of barbed quatrefoils and circles, accented by coastal elements, such as coral and seashells. 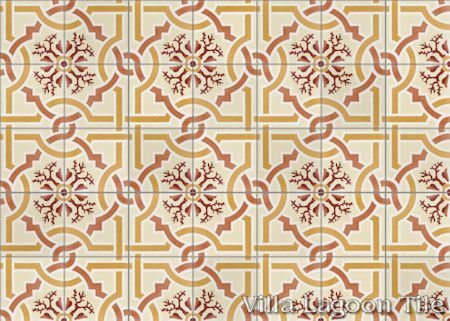 "Italian Trellis A Sunset", Lot SB-C09, In Stock Clearance Sale! 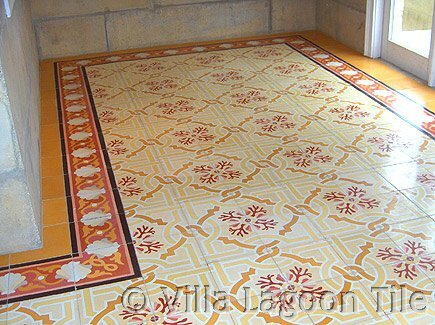 This is a home entrance hall and front porch with an older production of Italian Trellis "Sunset" bordered by our Shell Scroll border and solids. 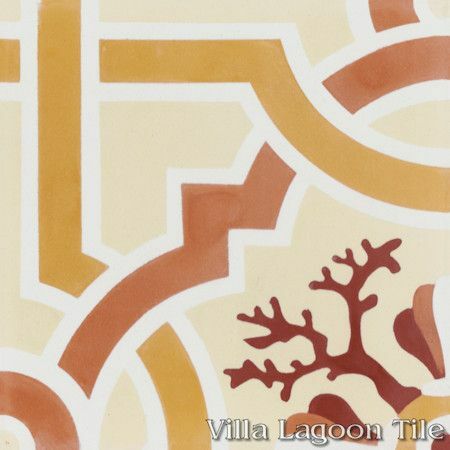 This pattern, previously known as "Venetian" is an exclusive pattern designed by Lundy P. Wilder, copyright Villa Lagoon Tile. Unlicensed reproduction is strictly prohibited.